Possibly light infantry though most likely a fusilier officer's sword, either an English regiment with a captured earlier Scottish blade or a Scottish regiment with a family blade. 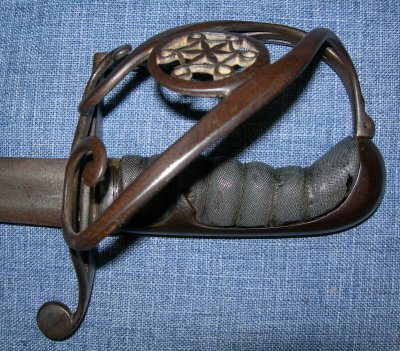 A really fine example of a late 18th Century British / Scottish fusilier officer's sword with a 17th Century Prussian Passau Wolf / Ferera marked blade; either a battle spoil (from Culloden, etc.) or a family blade. 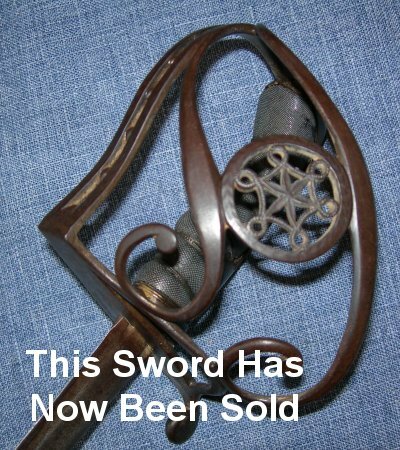 Irrespective, this is a very fine sword for the era and makes most others look a bit like toys.